Lenders have come a long way in their understanding and knowledge of the benefits and quality of modular home construction. Many lenders, now current on system built home’s unsurpassed quality and lower cost of home ownership sees the benefits of lending for these homes. 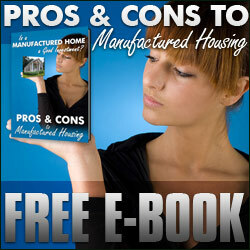 In fact, there are many lenders who focus exclusively on mortgages for modular homes. Modular homes can be built on virtually any site, using any of the available system built building plans, according to the customer’s needs and requirements. With system built construction, the possibilities are endless. Most house plans designed for traditional construction can be adapted for use in modular home construction. As the building process begins in the factory, lot preparation can start simultaneously with construction, thus reducing time and labor cost in the overall process. The property itself is less disturbed and damaged from extended, daily wear and tear from equipment and laborers. In the factory, great attention and detail is given to the strength and layout of the floor system since it will bear the load of the rest of the home. Wall panels are constructed next, followed by the installation of electrical, plumbing and HVAC systems. Once this is complete, the entire home is sealed thoroughly in all nooks and spaces, and the wall cavity is insulated. The interior sheet rock is hung, while exterior sheathing is placed on the outside of the home, along with the roofing and finished siding. As these steps are taking place in this order, other crews are working on installing doors, windows, cabinets, fixtures and floor coverings. Talk with Modular Home Dealers about these items. As an added measure, a weatherproof material is wrapped completely around the home in preparation for transport to the home site. Savings in materials purchased by the modular home factory in huge quantities, shipped directly from suppliers. Maximum efficiency in labor use, adding more savings. Overall reduced time of construction from beginning to end. Highest standards in strength and energy efficiency due to the extra girding and sealing for transport. 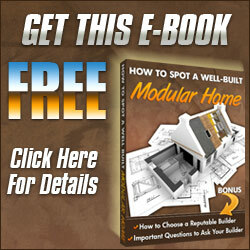 20%-30% more lumbar used in modular home construction. System built construction uses glue, as well as nails in putting components together.